The “All Things Real Estate” radio show airs this Sunday, April 21, 2019 (12-2pm Mountain Time) on Santa Fe’s KTRC 1260-AM and 103.7-FM and streams on SantaFe.com, as well as via the “Listen Now” link at ATREradio.com. This weekly radio show features host and Sotheby’s International Realty‘s Associate Broker Rey Post (NM REC License #45660) and a variety of special guests offering the best news, information and commentary regarding every aspect of today’s real estate market. In June, All Things Real Estate (ATRE) celebrates 10 years of airing and has been adding new elements to the two-hour broadcast to mark this occasion. To underscore the addition of new programming, this Sunday the next edition of the “This Is Taos” show series will air. The monthly show is presented by the Taos Ski Valley and fully supported by the Town of Taos government and a number of businesses and organizations in Taos. In both hours of the Sunday show, join Rey and his guests for a special remote broadcast from the Taos Tap Room, as the Taos Arts Council sponsors this specific two-hour remote broadcast, offering commentary throughout the program. The first hour of the program will also speak to the special relationship between the City of Santa Fe and the Town of Taos, while the second hour of the program will feature the ongoing broadcast of the new monthly series called “This Is Taos“, which will focus on the many reasons why people find the historic northern New Mexico town a desirable destination to visit, as well as own a home. Overview Thoughts: Rey will offer his observations on some of the unique relationships that Santa Fe real estate professionals have with Taos, as well as highlight many of the elements in the second hour “This Is Taos” show series. Taos Arts Council 2019 Activities: The Taos Arts Council (TAC) is a non-profit organization which pursues activities to ensure that Taos County has a vibrant, vital and active arts environment. The mission of the TAC is to promote awareness, understanding, appreciation and development of all of the Creative Arts (literary, visual, tactile, musical, performing, etc.) in order to enhance the quality of life in our Northern New Mexico area. Joining Rey in both hours of the show are TAC President Paul Figueroa, as well as Jules Epstein, a member of the organization’s Board of Directors. During this part of the show, Paul and Jules will speak about the extensive roster of events that the organization is offering this spring to those who visit and live in Taos. Taos Tap Room is Show Venue: Jayson Wylie, President/CEO and Co-Founder of Taos Mesa Brewing, has graciously offered the use of the company’s Taos Tap Room—located at 201 Paseo Del Pueblo Sur in downtown Taos—as the site for the airing of Sunday’s ATRE program. Jayson will serve as Rey’s first commentator during the broadcast, offering his own perspective on what makes Taos a special place to live and work. Broker View on Working in Taos: David Cordova, Rey’s Sotheby’s International Realty broker colleague in Santa Fe, will reflect on his own experiences working with home buyer and seller clients in Taos. David is a native New Mexican born and raised in the small village of Chimayo. David’s experience ranges from having grown up with the family’s elite homebuilding company focusing on “southwest style” homes, owning art galleries both in Santa Fe and Northern New Mexico and as a film producer, actor and casting director with his company, Route 66 Studios. David understands that the dream of home ownership in New Mexico is not just buying a home, but being a part of the rich cultural environment only Northern New Mexico has to offer. Rey’s “Real Estate Recommendation”: Rey’s weekly real estate recommendation will offer some suggestions on how to make the home buying and selling process a bit easier, more efficient and enjoyable for consumers. Corresponding to the theme of the special relationship that Santa Fe has with Taos and other Northern New Mexico communities, Rey is offering a 10-acre parcel of land, just nine miles east of Abiquiu, and situated above the Rio Chama, with 360-degree vistas (see the “Unique Destinations” section on ATREradio.com). Open House of the Week: Rey will review the attributes of 1616 Villa Strada with his Sotheby’s International Realty broker colleague Drew Lamprich. This beautifully maintained, two-level, light-filled, three-bedroom home with extensive landscaping has an open-plan kitchen, living and dining area with sliding doors to an ample deck which overlooks open spaces and an arroyo. The home is located in the Santa Fe neighborhood of Las Estrellas, only a six-minute drive to downtown—also being well-located for commuting to Los Alamos—and offers trails all the way to the extensive La Tierra hike/mountain bike/running trail system. In the second hour of the show, join Rey and his guests for the next edition of the All Things Real Estate show series, “This Is Taos.” Each month, the series offers interviews with business, tourism, government, cultural and real estate leaders who bring useful and informative commentary about why the historic Town of Taos is a popular destination for visitors from around the world, as well as why people chose to make the community their home. Taos Town Manager Review: Joining Rey as a special guest for the show is Taos Town Manager Rick Bellis, who plays a major role in the management of matters impacting the residents of the community. Besides offering commentary on a variety of topical issues, Rick will also offer his observations on what makes Taos such a desirable destination for those who wish to visit Northern New Mexico, or for those you chose to call the town their home. Taos Ski Valley Report: Taos Ski Valley (TSV) is currently closed after realizing a highly successful winter season. TSV’s staff and management thanks the public for its support of the mountain resort and invites people to take advantage of what is offered at TSV in the summer. For information on TSV’s range of services, including the resort’s famous hotel, The Blake, please go to: https://www.skitaos.com/. In addition, to review unique real estate options offered at the Blake Residences—a part of the resort’s slopeside development and made up of 24 extraordinary and fully appointed residences—please go to: https://theblakeresidences.skitaos.com/contact). On Sunday, May 19, TSV’s senior management and staff will join Rey in the next edition of the “This Is Taos” show series. Included in next month’s show will be a discussion of TSV’s Speaker Series program, offered by the mountain resort with the aim to deepen and enhance their guests’ understanding of Taos Ski Valley and the larger community. This program has invited over 40 organizations and individuals who make Taos “Taos.” From astronauts, to quartets, and anglers, each week the program is designed to teach a little more about what makes Taos unique, and how to keep it that way. TSV is the first major ski resort to become a certified B Corp. This certification helps ensure that TSV meets the highest standards of verified social and environmental performance, sustainability, public transparency and legal accountability. Becoming a B Corp also means that the long-held values of inclusion, sustainability, and respect for all are validated. TSV recognizes that Taos is a special place, and in the spirit of this sentiment, will continue on their path to get better—not bigger—with an invitation to all to join them on the incredible journey they are pursuing. The Realogy Disaster Relief Fund has been activated to provide much-needed financial assistance to help those who were affected by hurricanes impacting our nation in 2018, as well as last year’s California wildfires. The sole purpose of this effort is to provide much-needed financial assistance to help those in need who are not covered by personal insurance policies. Realogy has committed to matching $50,000 of the funds raised, and, effective immediately, you may make a tax-deductible donation to the fund. The Realogy Disaster Relief Fund is managed through the Realogy Charitable Foundation. In donating to the Fund, 100 percent of the money will be disbursed to those who are affected by declared federal disasters. Click here to donate to the Realogy Disaster Relief Fund. Realogy Holdings Corp. delivers its real estate services through its well-known industry brands including Sotheby’s International Realty®. Since 2009, the “All Things Real Estate” (ATRE) radio show has offered air time to a variety of Santa Fe non-profit and community organizations. Representatives from organizations are able to use the ATRE program to share news and information with northern New Mexico residents about their services and activities. Over the years, some of the highly-regarded non-profit organizations which have been featured on the ATRE program are: Cornerstones Community Partnerships; Think New Mexico; Las Campanas Compadres; the Santa Fe Concorso; Kitchen Angels; Creative Santa Fe; Taos Arts Council; Dollars4Schools; and Taos Opera Institute. In addition, Santa Fe Mayor Alan Webber is returning in 2019 to offer commentary on programs, events and community activities important to the residents of the city. In addition, the Town of Taos is collaborating with ATRE in 2019 to participate in a new information series—sponsored by the Taos Ski Valley—called “This Is Taos,” designed to offer useful information about this historic northern New Mexico community. This entry was posted in Real Estate News & Resources on April 18, 2019 by radio. The “All Things Real Estate” radio show airs this Sunday (12-2pm Mountain Time) on Santa Fe’s KTRC Talk 1260 AM and 103.7 FM and streams on SantaFe.com, as well as via the “Listen Now” link at ATREradio.com. This weekly radio show features host and Sotheby’s International Realty‘s Associate Broker Rey Post (NM REC License #45660) and a variety of special guests offering the best news, information and commentary regarding every aspect of today‘s real estate market. “All Things Real Estate” (ATRE) is marking 10 years of airing in June of this year. Throughout 2019, the show will feature a number of unique broadcasts that benefit home owners, buyers, sellers and renters, including the program that airs this Sunday. In the first and second hours of the show, host Rey Post and his guests will air a remote broadcast of the ATRE radio show from “The Santa Fe Home Show,” Northern New Mexico’s premier event of this type featuring the latest innovations in home remodeling and building. The 29th edition of this major public event, sponsored by the Santa Fe Area Home Builders Association (SFAHBA), is staged on March 9-10 at the Santa Fe Community Convention Center. The doors open at 10am, tickets are only $5. For information about the Home Show call: 505.982.1774. This special remote broadcast of the ATRE show is brought to you this Sunday by WIN Home Inspection. Whether you are a vendor reaching out to the residents of Northern New Mexico, or a discriminating home owner, buyer, or seller considering home improvements and new green technologies, the Santa Fe Home Show is designed to meet your needs. Conversations with the leadership of the SFAHBA, as well as home building professionals, home product suppliers, community, non-profit, real estate and business leaders. Interviews with exhibitor booth participants and members of the public who attend the event. A highlight of the popular 5th Annual Lego Building Contest for kids attending the event. A review of the 2019 Remodelers Showcase. Open House of the Week: All of the Sotheby’s International Realty (SIR) Open Houses on Sunday will be highlighted by Rey during the two-hour remote broadcast. Information on these events can be found in the full-page SIR newspaper ad in the real estate classified section of Sunday’s Santa Fe New Mexican newspaper. ATRE Corporate Supporters Highlighted: During the Sunday show, Rey will reference the array of real estate, business and non-profit organizations who are regular contributors of content to the ATRE radio program, and offer services to home owners, buyers and sellers. A roster of these organizations can be found at the homepage of ATREradio.com. Giving Back: The Realogy Disaster Relief Fund has been activated to provide much-needed financial assistance to help those who were affected by hurricanes impacting our nation in 2018, as well as last year’s California wildfires. The sole purpose of this effort is to provide much-needed financial assistance to help those in need who are not covered by personal insurance policies. Realogy has committed to matching $50,000 of the funds raised, and, effective immediately, you may make a tax-deductible donation to the fund. The Realogy Disaster Relief Fund is managed through the Realogy Charitable Foundation. In donating to the Fund, 100 percent of the money will be disbursed to those who are affected by declared federal disasters. Click here to donate to the Realogy Disaster Relief Fund. Realogy Holdings Corp. delivers its real estate services through its well-known industry brands including Sotheby’s International Realty®. Since 2009, the “All Things Real Estate” (ATRE) radio show has offered air time to a variety of Santa Fe non-profit and community organizations. Representatives from organizations are able to use the ATRE program to share news and information with northern New Mexico residents about their services and activities. Over the years, some of the highly-regarded non-profit organizations which have been featured on the ATRE program are: Cornerstones Community Partnerships; Think New Mexico; Las Campanas Compadres; the Santa Fe Concorso; Kitchen Angels; Creative Santa Fe; Taos Arts Council; Dollars4Schools; and Taos Opera Institute. In addition, Santa Fe Mayor Alan Webber is returning in 2019 to offer commentary on programs, events and community activities important to the residents of the city. In addition, the Town of Taos is collaborating with ATRE in 2019 to participate in a new information series—sponsored by the Taos Ski Valley—called “This Is Taos,” designed to offer useful information about this historic northern New Mexico community. This entry was posted in Real Estate News & Resources on March 7, 2019 by radio. The All Things Real Estate” radio show airs this Sunday (12-2pm Mountain Time) on Santa Fe’s Talk 1260 AM KTRC and 103.7-FM and streams on SantaFe.com, as well as via the “Listen Now” link at ATREradio.com. “All Things Real Estate” (ATRE) is marking 10 years of airing in June of this year. Throughout 2019, several new elements are being added to the radio program, including the roll-out of a new show series this Sunday. In both hours of this week’s show, join Rey and his guests for a special remote broadcast of the program from the Taos Ski Valley (TSV). The first hour of the program will speak to the special relationship between the City of Santa Fe and the Town of Taos. The second hour of the program will feature a new monthly series called “This Is Taos,” which will focus on the reasons why people find the historic northern New Mexico town a desirable destination to visit, work in, or as a place to own a home. Overview Thoughts: Rey will offer observations on the special relationship that Santa Fe real estate and business professionals have with Taos. Rey will also preview many of the elements of the inaugural broadcast of the “This Is Taos” show series in the second hour of the program. Gateway Mortgage Group Assists Taos Home Buyers: Scott Robinson, Branch Manager of the Gateway Mortgage Group in Santa Fe, will speak to the ability of his mortgage firm to offer assistance to those who are seeking the purchase of a property in the Taos region. In addition, Scott will provide his monthly mortgage tip that can benefit home buyers who are collaborating with a lender. The Gateway Mortgage Group is one of the largest privately held mortgage companies in the country, doing its entire mortgage servicing in-house. This business element is important, since it means that Gateway’s customers work directly with them until the time their loan is paid. Commentary contained within this broadcast is for informational purposes only and should not be considered a solicitation to extend credit. Scott Robinson, NMLS 202265, is a licensed Branch Manager with Gateway Mortgage Group, located at 502 West Cordova Road, Suite 1, Santa Fe, New Mexico 87505. All loans are subject to program guidelines and final underwriting approval. Gateway Mortgage Group, LLC, is an equal housing lender. NMLS 7233. Taos Ski Valley Professionals Offer Observations: Two senior management professionals associated with the mountain resort, will offer commentary on some of the unique elements offered at TSV. Eduardo Sampere, General Manager of The Blake slopeside hotel, will review the range of amenities that this renowned 80-room alpine guesthouse can offer, whether its guests are skiing, hiking, shopping or strolling. The Blake was awarded LEED Silver certification—the Leadership in Energy and Environmental Design rating of the U.S. Green Building Council—which is the foremost program for buildings, homes and communities that are designed, constructed, maintained and operated for improved environmental and human health performance. Also joining Rey, is Leslie A. Campbell, Director of Sales/Real Estate for The Blake Residences, a slopeside real estate development featuring a collection of 24 fully appointed residences. Leslie will discuss the role that the residences play in the mountain resort’s vision of offering artfully curated accommodations, as part of the once-in-a-lifetime revitalization of TSV. Broker View On The Taos Ski Valley: Alan Vorenberg, Rey’s Sotheby’s International Realty broker colleague in Santa Fe, will reflect on his own experience as a property owner in the TSV, as well as why he enjoys pursuing home buyer and seller relationships in the Town of Taos. Alan is also this week’s Santa Fe open house broker (see below). Rey’s “Real Estate Recommendation”: Rey’s weekly real estate recommendation will offer some suggestions on how to make the home buying and selling process a bit easier, more efficient and enjoyable for consumers. Corresponding to the theme of the special relationship that Santa Fe has with Taos and other northern New Mexico communities, Rey and his broker colleagues at Sotheby’s International Realty work to make home and land options in northern New Mexico available to consumers (see “Unique Destination” at ATREradio.com). Open House of the Week: Rey will review the attributes of 841 Camino Del Este with his Sotheby’s International Realty broker colleague Alan Vorenberg. This splendid and renovated three-bedroom, open concept residence with exquisite finishes, offers beautiful wood floors, high ceilings, lots of natural light and gorgeous mountain views of the Sangre de Cristo Mountains, and is located just moments from the Plaza and all the wonderful amenities in downtown Santa Fe. In the second hour of the show, join Rey and his guests as they launch the new ATRE show series called “This Is Taos.” The series will offer monthly interviews with business, tourism, government, cultural and real estate leaders who will bring useful and informative commentary about why the historic Town of Taos is a popular destination for visitors from around the world, as well as why people chose to make the community their home. The show series is presented by the Taos Ski Valley (TSV), while the Town of Taos and other businesses, and organizations (including the Taos Arts Council) are partnering with ATRE to offer this unique and informative radio programs. As Rey’s initial guest during the second hour broadcast—and to share his observations about the important relationship that TSV has with the people of northern New Mexico—is David Norden, Chief Executive Officer of the mountain resort. David will offer an update on what visitors to TSV are enjoying this winter, as well as throughout the year. Since July 2016, David has brought his highly regarded and extensive ski industry experience to the role of managing all of the existing operations of this multi-season resort destination. TSV is the first major ski resort to become a certified B Corp. This certification helps ensure that TSV meets the highest standards of verified social and environmental performance, sustainability, public transparency and legal accountability. Becoming a B Corp also means that the long-held values of inclusion, sustainability, and respect for all are validated. To further the interest of real estate and economic development in northern New Mexico, Taos is among the members of the Northern New Mexico Air Alliance (NNMAA), a non-profit group of businesses, cities, counties and attractions. NNMAA serves as a vehicle for expanding opportunities for consumers who are seeking real estate, economic, sport and entertainment options in northern New Mexico. The Realogy Disaster Relief Fund has been activated to provide much-needed financial assistance to help those who were affected by Hurricanes Florence and Michael, as well as support for those affected last year’s California wildfires. The sole purpose of this effort is to provide much-needed financial assistance to help those in need who are not covered by personal insurance policies. Realogy has committed to matching $50,000 of the funds raised, and, effective immediately, you may make a tax-deductible donation to the fund. The Realogy Disaster Relief Fund is managed through the Realogy Charitable Foundation. In donating to the Fund, 100 percent of the money will be disbursed to those who are affected by declared federal disasters. Click here to donate to the Realogy Disaster Relief Fund. Realogy Holdings Corp. delivers its real estate services through its well-known industry brands including Sotheby’s International Realty®. Since 2009, the “All Things Real Estate” (ATRE) radio show has featured commentary from a variety of Santa Fe non-profit and community organizations. Representatives from organizations have been able to use the ATRE program to share news and information with northern New Mexico residents about their services and activities. Over the years, some of the highly-regarded non-profit organizations which have been featured on the ATRE program are: Cornerstones Community Partnerships: Las Campanas Compadres; the Santa Fe Concorso; Kitchen Angels; Creative Santa Fe; and Dollars4Schools. In addition, Santa Fe Mayor Alan Webber has returned in 2019 to offer quarterly commentary on programs, events and community activities important to the residents of the city. In addition, the Town of Taos is collaborating with ATRE in 2019 to participate in a new show series—sponsored by the Taos Ski Valley—called “This Is Taos,” designed to offer useful information about this historic northern New Mexico community. This entry was posted in Real Estate News & Resources on February 14, 2019 by radio. 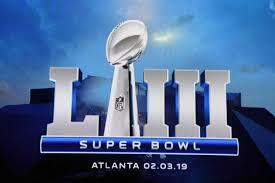 On today’s “All Things Real Estate” (ATRE) radio show, we are speaking to some of the teamwork elements that can be learned by the playing of the National Football League’s “Super Bowl” this evening. Our “Rey’s Real Estate” Recommendation” on this theme actually is drawn from an article written a few years ago by Martin Edwards, Chief Executive Officer of Julia’s house, the Dorset Children’s Hospice in the United Kingdom. Mr. Martin formally worked in Brand Management for the Proctor & Gamble Corporation and is also known as an author on leadership issues. Here is the complete article he wrote on the elements of teamwork, offering some valuable observations on the topic. Values in teams are the specific beliefs about what is right and wrong around us. Organizational and team values are about the culture we should encourage, the standards we should have, and the principles that should underpin the team’s efforts. They are the essential building blocks of team building. Over time all other things may change – an organization’s people, strategy, finances, beneficiaries – but its values should not. If these are allowed to degenerate, a team no longer has any unifying core, it will fragment, staff turnover will increase and results will plummet. Think about how values should inform your leadership style. And hold true to them: values are the things upon which you should never compromise. Values 1, 2 and 3 are about involving others for the greater good and increasing the expertise behind decisions. Listening to each other with an open mind without interruption. Every different point of view could be an opportunity to learn something. Listening shows that you value the other person and that you are open to the possibility of change. Interrupting shows that you think you or your opinions are more important (unless the other person is really rambling or repetitive). Are you a good listener or a bad listener? When you listen, are you open to what the person is saying? Or do you just wait for them to finish before saying what you were going to say anyway? The ‘information is power’ culture breeds ignorance, mistakes and defensive behavior. But it’s refreshing when someone offers their information or expertise in a helpful way without expecting anything in return. Proactive people do this simply because it’s the right thing to do. When was the last time you shared a good idea or useful information, or passed on your experience sensitively? When people know that their ideas will be debated and considered properly, they will be more encouraged to come forward with them. It doesn’t mean we have to agree on everything. Democracies mean that regardless of whose reasoning is most sound, the majority view always wins and the minority loses. This ‘win-lose’ culture can de-motivate and disenfranchise people. In the workplace, the task of the leader is to establish the right culture and choose directions, having gathered expert input and thoroughly worked through all the options. ‘Win-win’ cultures ensure that every view is heard and debated. A meritocracy means more than ability being a passport to higher rank; it means that any reasoned contribution is welcome and can affect the team’s direction or methods. Values 4 and 5 are about how we should curtail problems and move forward proactively. A fundamental characteristic of highly effective teams. Don’t exacerbate situations by telling lots of people how bad things are when those people are not responsible for sorting them out. This is called validating – seeking solace in someone reflecting your opinion without seeking a solution. Instead, tell the person or people responsible for sorting it out, and only them. This requires tremendous self-discipline: it can be comforting in the short term to seek solace in complaining to anyone who will listen – but isn’t it better to seek positive change? There are few things more demoralizing than a blame culture. It forces people to protect themselves by unnecessary paperwork, currying favor, or shifting blame – taking attention away from the ‘customer’ and hindering continuous improvement. It is often said of politicians that their desire for power makes them by definition unsuitable for office. This is because the stereotypical keys to promotion in politics – spinning situations to personal advantage, shifting blame, taking credit, and moving up at the expense of others – create distrust and poor teamwork: they live in a blame culture. Similarly, people who are good at ‘office politics thrive in a blame culture. They may be successful in their personal ambitions, but no-one really wants to work with or for them, so their ability to get the best out of people around them is limited. Teams therefore fragment, staff turnover increases and the organization fails to reach its maximum potential. In a responsibility culture, the manager should take responsibility for a team’s failings or mistakes in all instances except dishonesty or unethical behavior. People feel trusted in this culture and commit themselves more to it. Values 6 and 7 are about focusing on results. Many teams behave as if fixated on each other’s faults or failures, or are hampered by needless bureaucracy. But we should not be each other’s obstacle or enemy. The real focus should be on the customer. Remind people who are at war with each other, or who are just on their own warpath, that this has nothing to do with the objective, which is to serve the customer. Get into the habit of asking the customer what they like or dislike about the service. Put the needs of the customer squarely at the heart of strategy and planning. Organize and plan the work around the people who work closest with the customer, listening to these people’s views and providing what they need to excel, so that the entire work of the organization is a system for serving the customer’s needs and wants. If you are one of these people, tell your manager what you need in order to excel in your work. Every team and every organization should always be on the lookout for how it can better achieve its aims. This task is never complete: it is really a continuous process, and at its best is a constant state of mind of every team member. Values 8, 9 and 10 are about cohesive behavior. An organization’s reputation is the crux of its success. A lack of integrity in one part of the organization can, if it becomes widely known, undermine the entire organization. Integrity is also at the heart of treating people equally and fairly. Honesty, ethical behavior and effort are essential to a team that pulls together. It must be up to the manager to enforce these standards, having first given a fair hearing to the person or people concerned. This should be done calmly but assertively, taking time to explain exactly what is the desired standard of behavior, and explaining the consequences of further breaches of the team’s standards. Challenging undermining behavior is actually part of the process of helping everybody on the team, and should be seen as a positive step. And of course, the same standards must be applied across the whole team. Displays of ego risk undermining anything you achieve by following the other team values. ‘No ego’ behavior is about the importance of just getting on with the job. Sounds easy … but there are subtle displays of ego that are easy traps to fall into. Have you ever broken any of the following rules? Acknowledging failure is a sign of honesty, openness and a commitment to learning. The task of the manager is to explain to people that if they make a mistake, the best thing they can possibly do is to come forward openly, and that the focus will be on helping to put things right. The opposite of this is a blame culture where nobody comes forward, hiding mistakes until they become crises. If you demonstrate and stand up for these ten values you will be building teams that work together for the greater good of the organization, and that perform to their optimum potential. So “Rey’s Real Estate Recommendation” for today is to see if any of the teamwork elements described above can be applied to your own work and personal life. As always, tune into “All Things Real Estate” each Sunday (12-2pm Mountain Time) for more information on real estate and business topics. Go to the “listen Now” link at ATREradio.com to hear the show. This entry was posted in Real Estate News & Resources on February 7, 2019 by radio. As we air the 2019 inaugural broadcast today of the “All Things Real Estate” (ATRE) radio show, we are pleased to share that the program will be marking its 10-year anniversary this June. The ATRE program, our website (ATREradio.com) and blog have become popular destinations for people all over the nation, who are seeking timely real estate, community, business and event information and news. As many of our blog readers know, the radio show airs “live” each Sunday (12-2pm Mountain Time) on two Santa Fe, New Mexico stations owned by Hutton Broadcasting—1260AM and 103.7FM—as well as via streaming globally on SantaFe.com. And since 2009, ATRE has also aired remotely from a number of major public events, including the “Home Show” and “Parade of Homes” tour, sponsored by the Santa Fe Area Home builders Association, as well as the internationally-recognized Santa Fe Concorso rare car gathering. In 2019, ATRE is adding a new monthly broadcast series called “This Is Taos.” Airing on the third Sunday of each month, the series will feature interviews with a number of northern New Mexico business, community, governmental, art, non-profit and real estate leaders, who will speak to the reasons why Taos is a special destination for people from all over the world. The series is being sponsored by the Taos Ski Valley (TSV) and supported by the Town of Taos. As regular commentators in the series, David Norden, the Chief Executive Officer of TSV and Karina Armijo, Director of Marketing & Tourism for the Town of Taos, will join show host—and Associate Broker with Sotheby’s International Realty—Rey Post, in offering monthly observations on special activities available at the TSV mountain resort, as well as other Taos attractions, events and news. 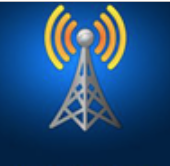 We are proud that the ATRE radio program is considered one of Hutton Broadcasting’s flagship programs; is listened to by home buyers, sellers, and owners, as well as real estate professionals across the nation; and was nominated—after only two years of airing—for a Santa Fe Chamber of Commerce Business Excellence Award. Throughout 2019, the show will continue to offer commentary from a variety of well-respected Santa Fe business, community, real estate and non-profit leaders. These professionals can be found on the roster of companies and organizations listed on the homepage of our website (ATREradio.com). Joining them each week, will be a number of the real estate brokers of Sotheby’s International Realty, who are considered among some of the finest professionals in the trade by home sellers, buyers and owners. And as he did throughout 2018, Santa Fe Mayor Alan Webber will offer regular news and information about important issues important to the residents of Santa Fe. And continuing with a valuable real estate segment we started last year, we hope to have New Mexico Association of Realtors General Counsel Ashley Strauss-Martin, return to the show as a contributor on critical matters that impact the home buying and selling process. So “Rey’s Real Estate Recommendation” for this week, is to watch in 2019 for our ongoing and well-regarded commentary that speaks to those issues you have told us are important to your life as a home owner, buyer, seller, or renter. Also, please join us for our new show series and other elements that are designed to offer you knowledge and updates on a variety of local activities, as well as business and real estate opportunities that we hope enriches your life. Remember—one of the best ways to learn about home buying and selling elements, is to join us each Sunday on the “All Things Real Estate” radio show at 12-2pm Mountain Time (ATREradio.com). Also, you can send me your own real estate questions, or suggestions for topics that he will handle on the program (look for contact information at ATREradio.com). I will treat your questions confidentially and will send you answers I hope will help you in your own real estate activities. 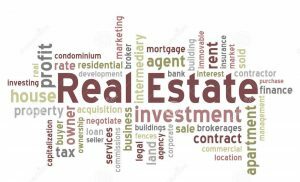 This entry was posted in Real Estate News & Resources on January 7, 2019 by radio. “GIFTS” OF 2018 REAL ESTATE AND BUSINESS NEWS & INFORMATION, AS WELL AS WHAT WILL BE ON THE AGENDA IN THE NEW YEAR AND BEYOND! The weekly “All Things Real Estate” radio show (ATREradio.com) features host and Sotheby’s InternationalRealty‘s Associate Broker Rey Post (NM REC License #45660) and a variety of special guests offering the best news, information and commentary regarding every aspect of today’s real estate market. In the first hour of the December 23, 2019 show—and marking the holiday season—join Rey and his special guest, Ashley Strauss-Martin, General Counsel for the New Mexico Association of Realtors® (NMAR), as they offer “gifts” of timely and important real estate news and information that relate to the home buying and selling transaction process. Real Estate Broker Update: Throughout the month, Rey is offering his thoughts on a variety of real estate issues that have been important to home buyers, sellers and home owners in 2018, as well as what they may be encountering in the New Year. Rey will also offer his review on some of the matters that professional real estate brokers will need to give attention to in 2019. New Mexico Association of Realtors Update: In her role as General Counsel for NMAR, Ashley Strauss-Martin will offer an update on a variety of current real estate issues, including changes in certain association home buying/selling documents, as well as general real estate issues of interest to consumers in 2018. Ashley will also offer her observations on real estate issues that will be on the NMAR agenda in the New Year. Among many other tasks as General Counsel, Ashley writes or reviews all NMAR Forms (NMAR promulgates the real estate forms used in most residential and commercial transactions throughout the state); runs the NMAR Legal Hot Line, providing legal information for NMAR’s 6,500+ members; and, serves as an expert witness before the New Mexico state legislature on bills she has drafted. Sotheby’s International Realty Year-End Report: Gregg Antonsen, the Senior Vice President and Qualifying Broker—since 2011—of the Santa Fe offices of Sotheby’s International Realty (SIR), will offer a summary of the home buyer and seller successes the company has enjoyed in 2018. In addition, Gregg will bring his more than 30 years of real estate experience to a conversation about what may be projected real estate sales activity for Santa Fe in the New Year. Gregg will also offer some thoughts to Rey and Ashley’s discussion about other real estate matters of importance to consumers. As manager of the three offices, associate brokers and staff that comprise SIR’s presence in Santa Fe, Gregg brings a good understanding of the important role that home buying and selling plays in our city’s economy. Rey’s “Real Estate Recommendation”: Rey’s weekly real estate recommendation will offer some suggestions on how to make the home buying and selling process a bit easier, more efficient and less time consuming for consumers. Open House of the Week: Rey will review the attributes of 8 Calle Nopalitos with his Sotheby’s International Realty broker colleague David Cordova. This three-bedroom and custom-built home, nestled in pinon trees with spectacular views, is located on 2.5 acres in a rare Santa Fe location off of Route 599. The home features tile floors throughout; an open concept kitchen with a high-end cooking stove and fine appliances; radiant heating, with a wood stove and wood-burning fireplace; vigas; very nice landscaping; and, a new roof with a transferable warranty. In the second hour of the show—and continuing the “gift-giving” theme from the first hour of the program—join Rey for a very special interview with Philip Diehl, currently the President of Austin, Texas-based U.S. Money Reserve, which sells gold, silver and platinum coins to investors and collectors. In 1994, Philip served as the 35th Director of the United States Mint, in the launch of the 1994 World Cup Commemorative Coin program. At that time, Rey served as Commemorative Coin Program Director for the U.S. Organizing Committee when it staged the 1994 FIFA World Cup, soccer’s world championship hosted for the first time in the United States. In the spirit of holiday “gift-giving” in the future, Rey and Philip will discuss how they are once again partnering to offer a game plan for offering U.S. Mint-struck legal tender commemorative coins for consumers around the world, when the 2026 FIFA World Cup returns to the United States. This 48-team world soccer championship tournament will be staged in 16 different cities in the United States, as well as in Canada and Mexico. When Philip served as Director of the United States Mint, he was also overseeing the creation of the 50 States Quarters program; the nation’s first platinum coin, the Platinum Eagle; and, the Sacajawea dollar coin. He also served as chief of staff of the U.S. Treasury Department and director of the Senate Finance Committee. Giving Back: The Realogy Disaster Relief Fund has been activated to provide much-needed financial assistance to help those who were affected by Hurricanes Florence and Michael, as well as support for those affected by the California wildfires. The sole purpose of this effort is to provide much-needed financial assistance to help those in need who are not covered by personal insurance policies. Realogy has committed to matching $50,000 of the funds raised, and, effective immediately, you may make a tax-deductible donation to the fund. The Realogy Disaster Relief Fund is managed through the Realogy Charitable Foundation. In donating to the Fund, 100 percent of the money will be disbursed to those who are affected by declared federal disasters. Once the federal government declares the areas impacted by the California wildfires disaster zones, the process will begin for individual aid. Those affected by the hurricanes and covered by the Fund’s program can pay for emergency-related costs such as significant home repairs from flooding, lost possessions, and temporary housing expenses. Click here to donate to the Realogy Disaster Relief Fund. Realogy Holdings Corp. delivers its real estate services through its well-known industry brands including Sotheby’s International Realty®. Since 2009, the “All Things Real Estate” (ATRE) radio show has donated air time to a variety of Santa Fe non-profit and community organizations. Representatives from organizations are able to use the ATRE program to share news and information with northern New Mexico residents about their services and activities. In 2018 alone, some of the organizations featured on ATRE in donated air time are: Kitchen Angels; Creative Santa Fe; Presbyterian Santa Fe Medical Center; Dollars4Schools; and, the New Mexico Real Estate Commission. In addition, Santa Fe Mayor Alan Webber has been a guest on the show on multiple occasions in 2018 sharing useful information about city programs, events and community activities. This entry was posted in Real Estate News & Resources on December 20, 2018 by radio. 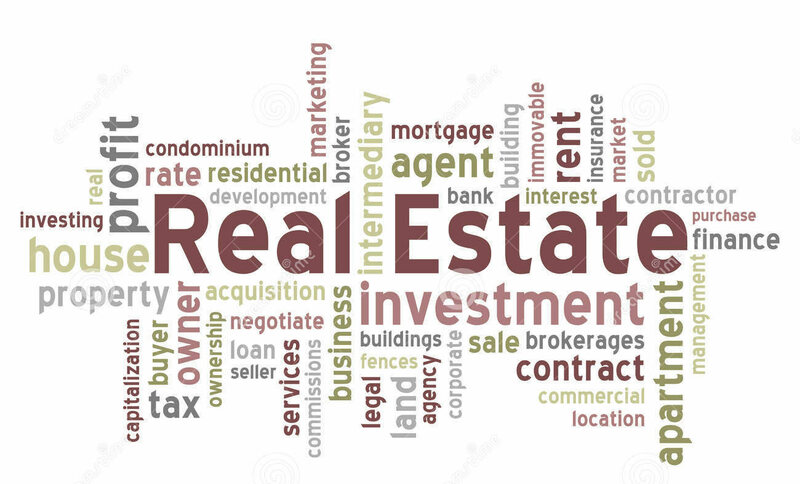 As I have been doing throughout December, I plan to use the “All Things Real Estate” radio show (ATREradio.com) and our blog as platforms for offering some thoughts on real estate issues that emerged in 2018, and what may be on the agenda in the New Year. So “Rey’s Real Estate Recommendation” for this week, is to consider some of the points made in this article as recommendations for saving money on home maintenance, as well as using them a good road map for getting your home ready for sale. This entry was posted in Real Estate News & Resources on December 17, 2018 by radio. Throughout the month of December, I plan to use the “All Things real Estate” radio show (ATREradio.com) and our blog to offer some thoughts on real estate issues that emerged in 2018, and what may be on the agenda in the New Year. In an article published in the on-line real estate resource RISMedia, real estate professional Brian Buffini offered some useful advice for those who practice our trade. I believe that for home owners, buyers and sellers, there is also some valuable information contained in his recommendations. So “Rey’s Real Estate Recommendation” for this week, is to consider some of Brian’s recommendations to help better your own real estate transaction process. This entry was posted in Real Estate News & Resources on December 10, 2018 by radio. Each week this December, I will offer some thoughts on what we might see in our local and national real estate markets in 2019. This week, let’s take a look at what Realtor.com is projecting for the market in the New Year. The respected online real estate website suggests that we should look at rising mortgage rates to play an even greater part in affordability, slowing the market for sellers and impacting buyers. The website further offers that home prices are still expected to rise, though at a much slower rate than we’ve become accustomed to. Realtor.com forecasts home prices to increase by 2.2% nationally. These are national trends that do not necessarily portend for what will specifically happen in your local real estate market. For instance, in the Santa Fe real estate market, Sotheby’s International Realty (SIR) is anticipating more than $850 million dollars in sales activity in 2018, with an anticipation that the New Year will continue to bring solid home buyer and seller activity. SIR’s roster of home buyers in 2018 have come from over 136 cities around the United States, representing buyers from 35 states, as well as from and 5 foreign nations. Part of the reason that the brokerage where I hang my real estate license has seen such robust buyer activity in 2018 is that Santa Fe and our northern New Mexico region offers options that are not available in other parts of the nation. From reasonable home and land prices, to the culture, weather and attractions of this part of the southwest of our country—these have made our real estate market such a desirable destination. We anticipate that for these and other reasons, 2019 will offer home buyers and sellers some special opportunities in the Santa Fe region. So, Rey’s Real Estate Recommendation for this first week of December 2018, is for any home buyer, or seller in our region to take the time to identify the best real estate professional to partner with on what is most likely the most expensive purchase, or sale you will probably have in your life. The home buying and selling process is complicated and requires the attention of numerous professionals. It is in your best interest to start the process with someone who has the experience, knowledge and creativity to represent you in the transaction. For more real estate information, always check out our blog at ATREradio.com/blog and also join us for the “All Things Real Estate” radio show, which airs each Sunday 12-2pm (Mountain Time) and can be heard at the “Listen Now” link at ATREradio.com. This entry was posted in Real Estate News & Resources on December 2, 2018 by radio.